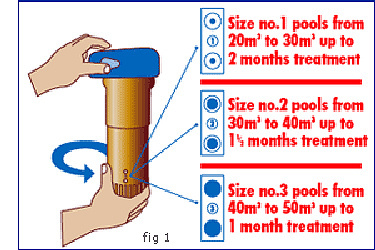 Fi-Clor 5-Buoy Multifunctional Chlorine Dispenser 1.66kg - 5-Buoy will provide a constant input of 'background' chlorination over a period of several weeks. Fi-Clor 5-Buoy Multifunctional Chlorine Dispenser 1.66kg - 5-Buoy will provide a constant input of 'background' chlorination over a period of several weeks. It acts in the top few centimetres of pool water where pollution is greatest to minimise the risk of bacterial and algal infection. Adjust pH to 7.2-7.6 with Fi-Clor pH & Alkalinity Reducer or Fi-Clor pH Increaser as appropriate. For best results, treat pool with Superfast Shock at start of season. When temporarily removing unit (e.g. if children are unsupervised), stand it in a plastic bucket of cold water free from contamination from other chemicals. To resume treatment, replace unit in deep end and empty bucket contents into pool.